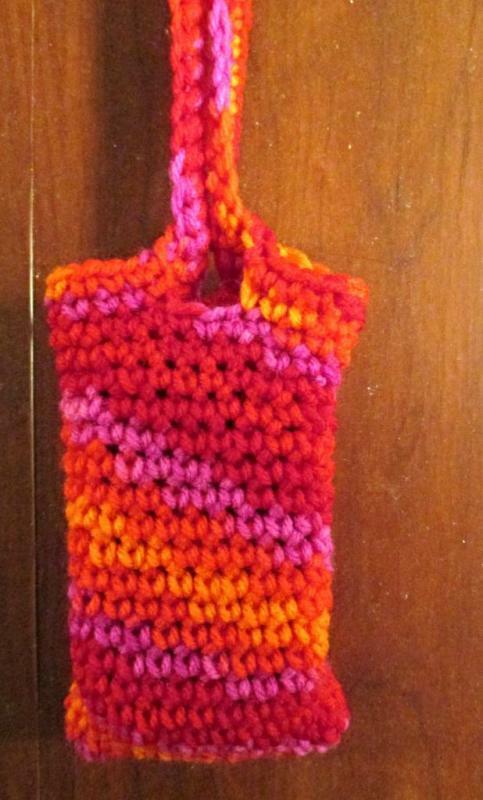 I had a request from the local hospice that I crochet things for on a regular basis...They are needing around the neck cell phone holders for their clients as request from one of the facility staff. So they asked me to whip a few up. Here is 2 I already made w/ close up shots . Are you going to be sharing a pattern? My crochet club makes prayer shawls for our local Hospice, and might like these! I would love to try the pattern also. Very nice, I made a similar cozie some years back using a granny type technique. 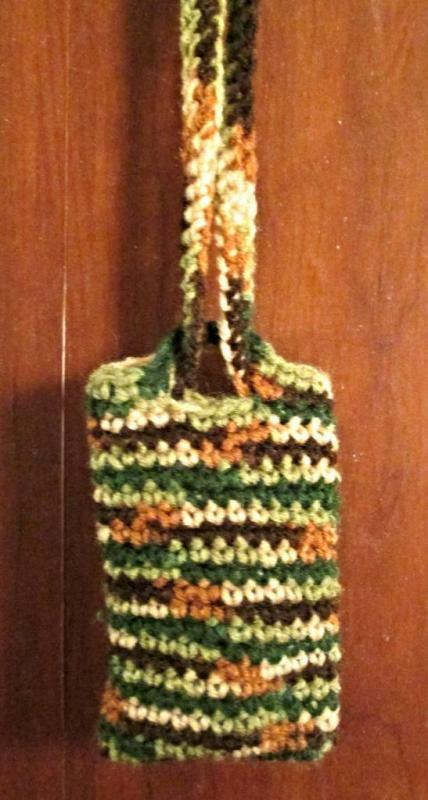 http://www.crochetville.com/community/topic/23352-new-cell-phone-pouch/ . Jayashiangel, If the pattern is available for your neck phone holder, could you please send me a copy, also? I asked in 2014, but apparently you couldn't send it to me! If you could put it on here, I could get it. Or send it to my email: froggerscrochetclub@yahoo.com Thanks!! This pattern was at a request for Hospice of the Valley in Peoria, Arizona. 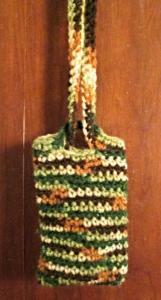 I created this pattern to accommodate various cell phone types and to be worn around the neck. Row 3: Switch hooks to the smaller E Hook (working around the corner and into the bottom side of the starting chain row) Put 3 single crochet in first stitch, 1 single crochet in each stitch across, 2 single crochet in last stitch. Working around until you get to the other side for the next 2 stitch markers these will be the place you will create the key hole effect in the hole of the stitch marker do 2 single crochet Chain 7 keep from twisting then into the last stitch marker 2 single crochet again… Single crochet 1 more row when you reach the neck strap single crochet in to each stitch and keep working up the chain and then down back to the bag and continue around and repeat up the keyhole chain doing single crochet this will make it look clean... when your get close to the neck strap again you will want to slip stitch into the base of where it connects to hide the last few stitches blending it in. Then fasten off and weave in the loose ends. 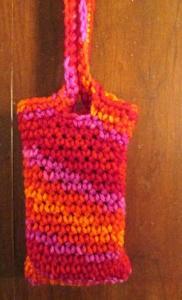 Thank you for posting your pattern for the Keyhole cell phone holder.